Trender bender. 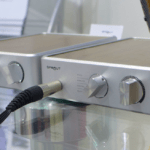 If 2013 was the year of the ultra-portable (“dingus”) DAC then 2014 is shaping up to be the year that the portable headphone amplifier space exploded. Any head-fi-focussed manufacturer worth its salt now offers a handheld box for advancing the sound quality of smartphones and/or digital audio players. 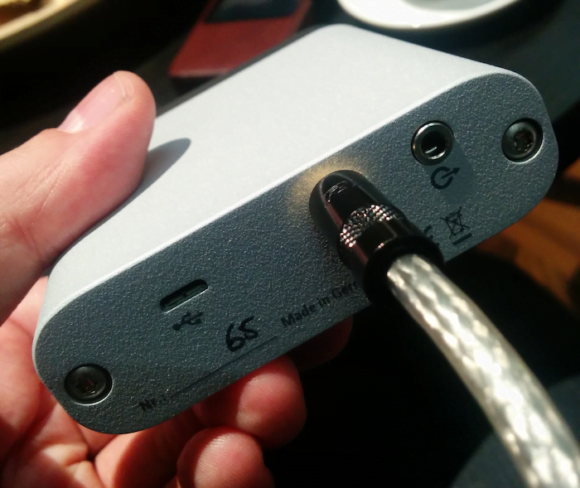 Some portable amplifiers come with in-built DACs, some don’t. Those that don’t tend to run for longer between charges. 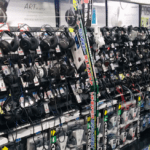 In recent months we’ve seen new models from CEntrance/Glove, ALO Audio, Cypher Labs, TEAC, JVC Kenwood, Chord, V-Moda and Sony. ‘Traveller’ with two Ls. Not a turntable from New Jersey’s VPI Industries but a portable from one of the most revered names in headphone amplification and phono staging: Germany’s Lehmann Audio. Norbert Lehmann had a prototype demo unit to hand in Munich last month and the Traveller is going into full production. It’s similar in size to the recently announced Cypher Labs AlgoRhythm Picollo and like the Picollo there’s no onboard DAC – this is strictly a portable amplifier. Physical dimensions are almost identical to that of Astell&Kern’s AK120: 80 mm x 90 mm x 25 mm. Just sayin’. The Lehmann unit has a run time between charges of around 20 hours. A full charge of the 4000mAH Lithium-ion battery can be had within 6 hours. On the inside: “The exceptionally transparent sound is provided by the discrete zero global feedback output stage. The voltage gain is effected by audiophile components from Analog Devices and Burr Brown.”, reads Lehmann’s news announcement. Power? 120mW into 32Ω, 12mW into 330Ω. That’ll do nicely. Output impedance isn’t (yet) specified. The two-button, electronically controlled volume Lehmann describes as being “utterly precise” and (Lehmann is also keen to point out) makes it suitable for pre-pending to active loudspeakers. A simple product with a simple aim: high quality sound that’s portable. 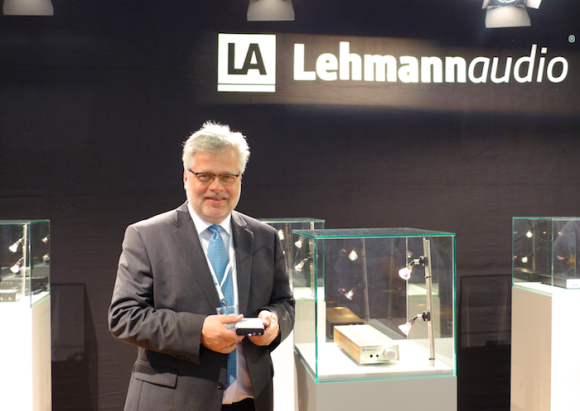 Lehmann’s advantage in this increasingly crowded product space is pedigree. He’s been in the headphone amplification game since 1988 with his products earning a multitude of accolades along the way. The Traveller will begin shipping in July, available from Lehmann’s worldwide dealer network for US$599. EDIT 16th July: Australian pricing announced at AU$779.